Europcar has launched a long term rental scheme, which it claims offers a cheaper and more flexible alternative to the traditional Personal Contract Purchase (PCP). Cars can be hired from 28 to 84 days and renewed at the end of each term for no additional fee. The fixed monthly pricing for a 28 day rental starts from £317 for a small hatchback - like a Fiat 500 - with a £70 deposit and a monthly mileage allowance of 2520 miles. The basic package also includes third party insurance (with a £1000 excess) and VED. For a longer rental deal, Europcar claims that a Peugeot 208 can be hired up to 24 months and 60,000 miles for a total of £8470 (£353 a month). The driver would simply renew the 84 day rental and hand back the car when they no longer need it. However, as always, terms and conditions will apply and all hires are subject to availability, driver age and qualification. Unlike PCP deals, Europcar won't give customers the option to buy the vehicle at the end of the agreement by paying the outstanding value, often called a balloon payment. 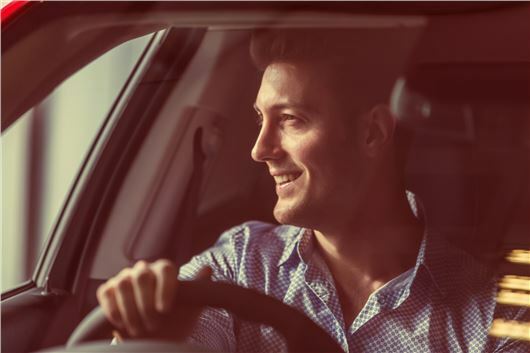 Instead the driver can either swap the car for a different vehicle, with no additional charges, or hand it back at the end of the rental agreement and walk away. Those wanting to cancel and hand the vehicle back within the agreed rental agreement won't get their money back if they've prepaid for the month though. The benefit, which Europcar stress, is the convenience of not owning the car for an extended period of time. It also promises fixed pricing throughout the term of the rental, along with any extensions. This means someone renting a Fiat 500 for £317 a month could extend the agreement for another 28 days for the same monthly fee. Gary Smith, managing director of Europcar said: "It is a genuine long term solution, that doesn’t require any long-term commitment. There’s no depreciation or maintenance to worry about. The car comes with a free deliver and collect service, and additional drivers can be added at no extra cost."